When Felanar discovers the truth about his life, he is both excited by the possibility and fearful of what it will do to him. The fear turns into dread when he sees how desperate others are to seize the power he has been granted. Who are his friends, who are his enemies, and what difference can it make when it seems that corruption is inevitable? And why did that dragon flee him? 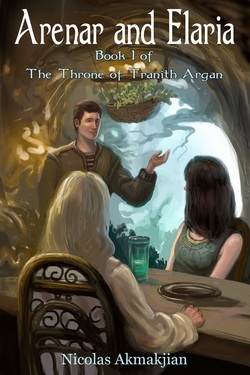 Felanar, his sister Kara, his elf princess friend Alessa and the dwarf Dolen find themselves stranded far from home. Can the four companions safely make their way across this vast empty land without coming into contact with those loyal to his enemy? What if the autarch of this land is right in his views of power? What is the mystery of the mountain, the secret the elves wish to keep hidden? Felanar embarks on a final attempt to stop the enemy by creating a tricky alliance that requires the pulling of many threads simultaneously. Yet where is his love Alessa (if she is his love)? Why won’t the dragons cooperate and what are they not telling him? And just what will it take to defeat him at the final confrontation? Finally, what is the correct way to yield power in a world corrupted by it?